2016 is well under way and it’s going to be an interesting year. Whether or not you’re happy with the outcome of the EU referendum, the world will keep turning and the importance of good financial planning has never been so important so make sure you’re prepared. 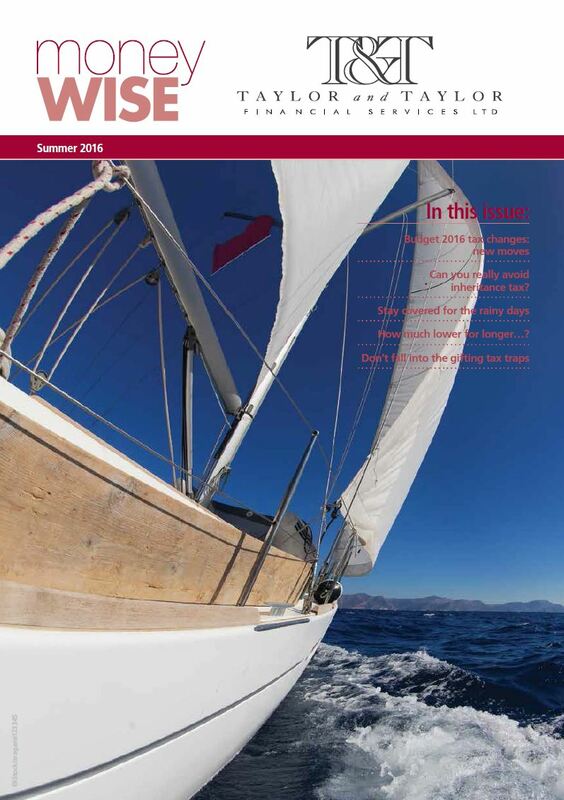 Our summer newsletter will help to remind you of what’s coming up in the world of financial planning. We hope you enjoy reading it. Our feature this edition is Budget 2016 tax changes: new moves. This year’s Budget contained many measures which could affect your long term financial planning. Can you really avoid inheritance tax? A former Chancellor called inheritance tax a ‘voluntary tax’ but it’s clear that not everyone has taken this message on board. Keep covered for the rainy days It is inadvisable to try living solely on state benefits in the event of illness or unemployment. The so-called ‘safety net’ is lower than you may think. How much lower for longer? March 2016 marked the seventh anniversary of a 0.5% Bank of England base rate, but other interest rates are still falling.